WHO do you want to take? Are you planning on taking the band, awarding the champion athletes for a job well done, congratulating the Senior class for making it this far, youth ministry, community youth outreach, etc. As you can see the list can go on and on. WHY is your group taking a trip? Would you be traveling for educational purposes, a competition, or just for fun? 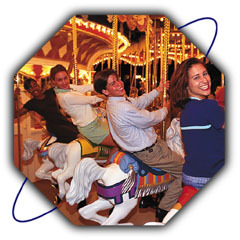 Educational- You probably did not know that your students can actually learn at the theme parks. 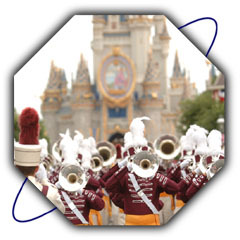 They can formulate strategies to achieve career goals at Disney's Hollywood Studios. Our friends at EPCOT offer an experience that provides discovery and exploration into the various aspects of the world's vast cultures. The impact of technology, commerce, and communication on these cultures are just some of the areas that students are sure to find fascinating. These programs are not only designed to evoke immediate participation, but to inspire ongoing active roles in them as well. A trip to the Disney's Animal Kingdom is sure to have many leaving with a greater insight into the preservation of wildlife and the ability to make effective decisions about conservation. We've only scratched the surface of how Orlando's theme parks can take the required schools subjects and transform them into something magical! 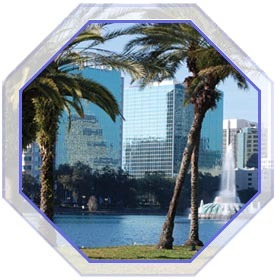 Competition is Central Florida middle name. How about perform at Islands of Adventure, march down Main Street, USA at the Magic Kingdom or just dance in Tomorrow Land. There are many options to choose from. Create your own band package with our QuickQuote form. FUN - Well this does not need any introduction! WHAT will your students/youths accomplish on their trip? We will be able to provide you an itinerary from your Quick Quote for whichever package best meet your needs. This itinerary will identify weather you will be here just for fun, participate in an educational program or compete in a music festival. WHERE are you taking your students? What will be included? We have several destinations to choose. Once you completed our QuickQuote form, we will be able to provide you a package which will include the accommodations, attraction tickets, educational programs, and dining options selected. HOW MUCH WILL IT COST? This will be the number one question you will be asked. Our QuickQuote cost is broken down based on quad occupancy and double occupancy for chaperones. You will be provided the cost for the services 1st Stop will secure.